Can US customers order from their catalog? I have been looking for soemthing unique and pretty for Karri for our 10th. Hi Michael, Their is a store in Santa Monica, CA. I would call them and see what items they sell. I love the rings! They did warm me they are not everyday rings as they are delicate. If you are looking for something that can be worn everyday, I would look at a necklace. Here is the CA info. Thanks for commenting on the blog! My friend in Prague was gifted a Frey Wille ring for a very special occasion. They are great. may be anybody knows so best-need adress? I am so sorry they are not in New York. I see you can order online. I like that you can not find them everywhere. It makes their product, unique and that much more special since you can only buy it in certain countries and cities. Although if their wasn't a store near me I may feel differently:) Good Luck! I discovered Frey Wille while on vacation in Vienna in 2006 and was immediately blown away by not only the beauty of the jewelry but from the whole shopping experience. My husband bought me the Hundertwasser ring for my anniversary while we were there (from a ridiculously friendly and knowledgeable sales associate) and I just adore it. 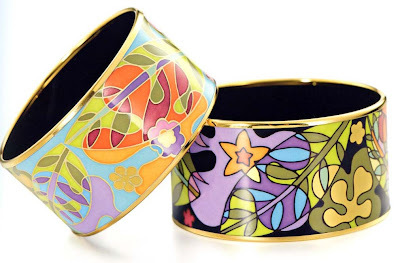 I am an enamel artist myself and am so inspired by their designs. I couldn't believe they had dozens of locations all over the world but none in NY. Thankfully that is about to change next month when they open their first store on Madison Ave. You can bet I'll be there on opening day! I'm from georgia and i want to know how this is done by hand enamel. I am a specialist in enamels, and I would like to do. How do I know? Hello, I do not know how this is done. I do not think they do factory tours. If they do you would need to fly to Austria where they are made. Good luck! Love Frey Wille Jewelry! They are just so gorgeous and breathtaking! 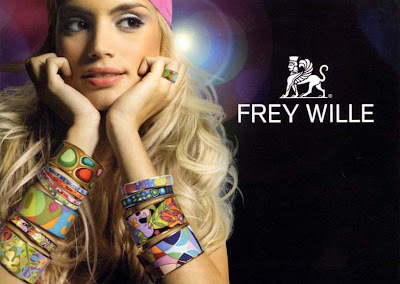 Found this http://www.freywilleonlineshop.org/ Frey Wille Onilne Shop, enjoyed! Just as a warning, I think that the online shops are frauds. See this page on the official FREYWILLE site: http://shop.freywille.com/. I recently received a FREYWILLE piece as a gift and I don't love it. Their stores do not offer refunds and, in face, the associates we spoke with were not very nice or helpful. If anyone here is interested in purchasing a FREYWILL piece, I'd happily meet you at the LA store, exchange my pieces for whatever you want, and accept your payment. I know that sounds crazy, but I just don't love the piece and it's a lot of money for something unloved.